We have sold hundreds of puff ties, and we listen closely to customer feedback to make sure we're delivering on the promise of unique, authentic clothing, world class service, and great prices. We survey every customer to gauge their opinion of the products they bought, and put together this list of the top-ranked puff ties in our store. Shop with confidence, knowing that these terrific puff ties have been tested and endorsed by our other customers, and that you will receive five star service along with a great value! Absolutely beautiful and perfect. Fast delivery. I wanted a Puff Tie because I'm working on a Doc Holliday outfit. This tie worked perfectly. Shipping was fast, and I received it about 4 days after ordering! Exactly as described. Great value! This tie matches the photo exactly. Exactly what I wanted. This "Tie" was exactly the item I was looking for! the color was perfect! as an added bonus it came with small "gold, faux diamond" stud, I had several ask if it was a real diamond!! I am very impressed with every item, I purchased! Love it and it is so great looking in real life. 5 stars for quality, selection, price and delivery time! High quality and quick delivery. 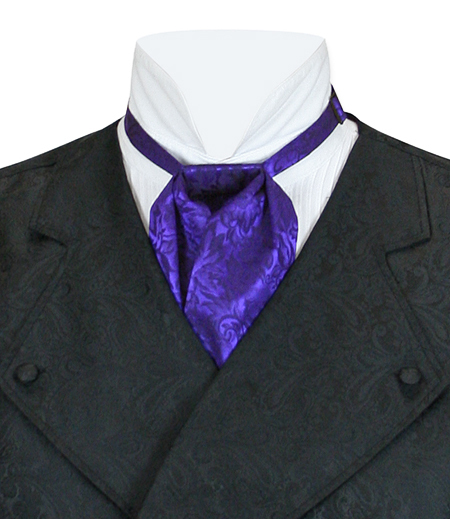 I ordered this tie on behalf of my brother for a steampunk wedding we attended. It is a high quality tie. Its color is exactly as pictured; the tonal pattern is more evident in person than it is in the photograph. I can't comment on the tie tack that it came with - I didn't see it, because he replaced it with a steampunk gear tie tack. We were very very happy with our experience shopping with Historical Emporium. The products shipped quickly, arrived on time, the order was correct, and everything was high quality. I would happily recommend this vendor and this tie to anyone who asks. Good quality, looks good, pin sets it off. Compliments the outfit. The most dashing tie ever! Just right in sight and fit and completes the costume perfectly! Speedy delivery as well. everything I get from you is just awesome! I love this puff tie! Looks even better in reality! Nice pattern in a warm cream tone, easy to put on and comes ready with a tie tack. Underlines a sophisticated look. Even the people at a gourmet restaurant who should be used to dressy looks seemed to be astonished - just wonderful! Easy to put on. Nice design. Great Fabric. High quality at a low low price! Excellent quality. Matches the vest I have. Loved the puff tie. Very nice quality. This is the third one we've purchased for my husband, and they've all totally lived up to our expectations. Great for our living history tour costumes! Very nice puff tie. Good quality, well made. 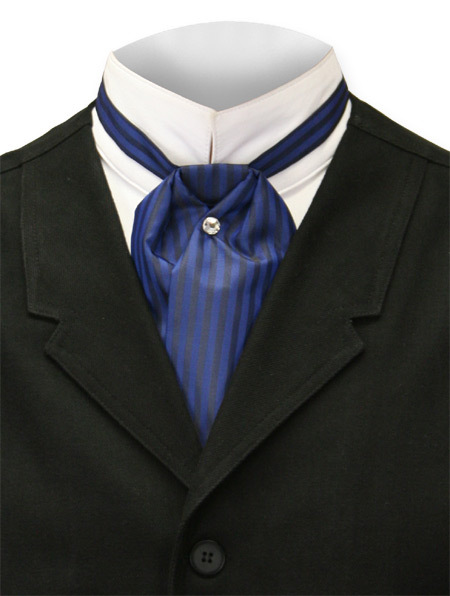 Silver peak puff tie is perfect for my navy blue frock coat. 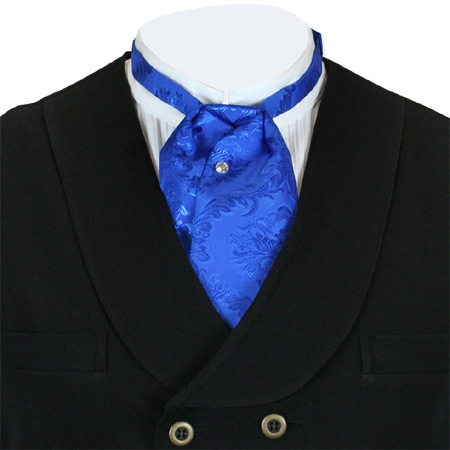 These are great for any occasion, in any colour, and stand you out from the regular tie crowd. this tie look so much better in the box than on the computer. sweet. This was my first purchase from the Hisorical Emporium and I have to say I'm impressed. I had been looking for something different for awhile but could never find anything that caught my eye untill I found this website. I looked through what they had and was shocked to find vintage styl clothes for a good price and I purchased a red Twin city vest and this silver puff tie. I wore this to church and other events and immediately recieved complements from my friends who kept asking me where I got it but all that aside this is a very good product I love the adjustable neck band verses a clip on and the quality is outstanding for the price and I will be getting another soon. I bought this tie to wear day to day. It is a stunning color and easy to wear. The only issue I had was that the tie tack looks a little cheap, other than that, I highly recommend this tie. 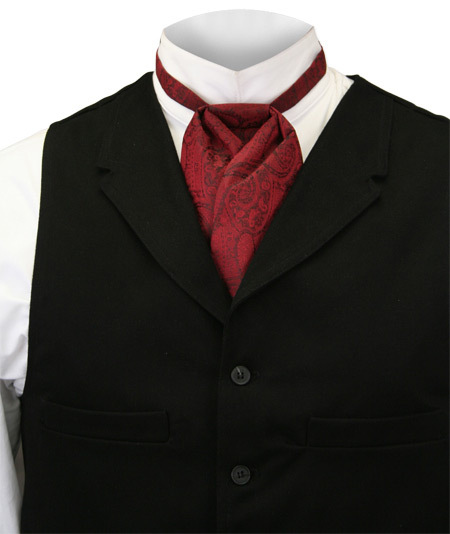 I ordered two cravats from "Historical Emporium." They are beautiful, and I think were reasonably priced. We purchased them for the play, "The Importance of Being Earnest." Beautiful ties & many favorable comments!!! This Puff Tie is Great, LOVE the colour. The included tie pin is not too bad, though very plain. Fits well, wears well and looks good! Highly recommended. Looks great and I get compliments on this tie all the time. The Satin Puff arrived on time and is great. He will look great at Prom! It looks splendid with the Dragon Fire vest in Silver and Black! Simple and adjustable. This fit me quite well and was comfortable the entire day. 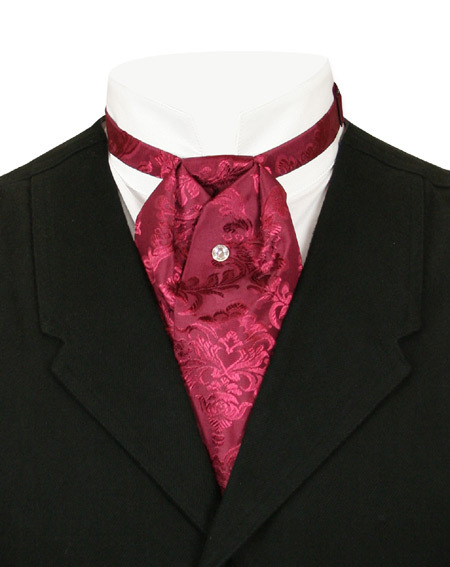 I highly recommend it to be worn with a vest/waist coat. love the silk puff ties always looking for more! Perfect compliment to the Victorian Halloween Costume previously purchased. Sharp looking ascot/tie. Should look really cool at Christmas parties! 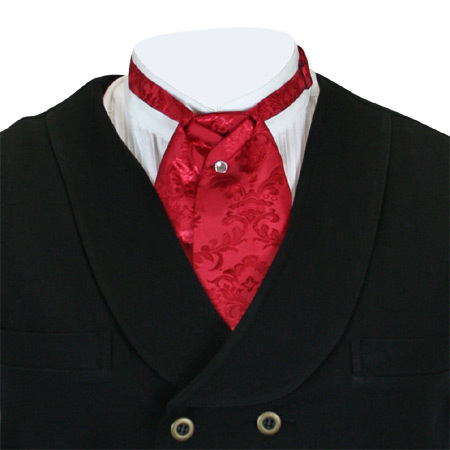 The puff tie itself is very nice, well made, and an attractive red. It even has a tab underneath to pin through and make a really good puff. The tie tack that comes with it looks inexpensive, which is not a crime, but the point on it is too dull to go through fabric, especially the under tab. If you already have a good tie tack to wear with the tie, or a fat darning needle to start a hole, you will be fine. Otherwise, it may be frustrating. Very nice tie. Easy to put on, goes very well with the rest of the outfit. Very nice bright red. Its texture and subtle pattern convey an elegant sense of luxury. It is beautifully made. Tie is more impressive than illustrated. Certainly added to outfit. Will be wearing tie for Christmas program at local museum. excellent quality, fast shipping, would recomend. Well made, in authentic form, of very nice material! ~ I later ordered a better diamond pin, albeit the one furnished is not objectionable for theatre use. Very well made. Looks great. Shopped online for puff tie. This tie is the finest quality as well as best competitive price. 100% pleased. 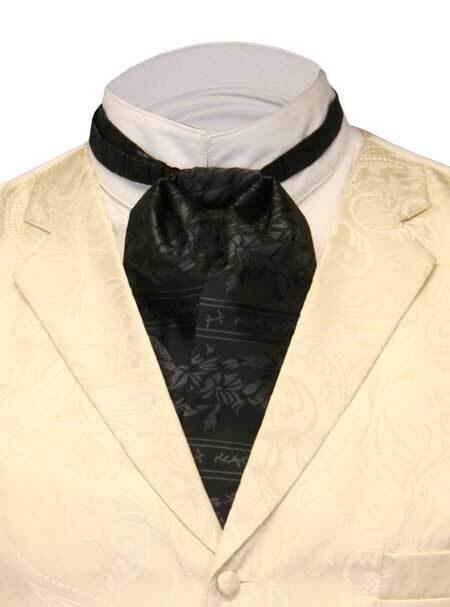 Wore with western tux and compliments were excellent. Will be returning for other product needs! Even more brilliant in person than on the website! Must have for any gentleman! A very nice piece. It has ample adjustment and fixtures to ensure a comfortable fit is assured. It is what I ordered and expected. Delivered promptly in time for a movie shoot I was doing. Thanks. Absolutely gorgeous fabric and very easy to wear. Love the look, it's really going to complete my costume! Thank you! The tie arrived within two and a half days of placing the order as it was shipped USPS Priority Mail. However, when it arrived I discovered the strap was way too long. The catalog states the tie will fit neck sizes 14 to 20 inches. I wear a 151/2 neck size and the strap, even drawn up the the max, was still too long to fit properly. The problem was solved using a pair of scissors and a sewing machine. The tie now fits perfectly and looks great. 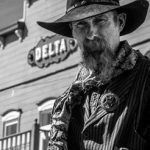 It adds a great deal to the 1800's look I am trying to achieve. I received several compliments on my Fairmont satin Puff tie. It added a touch of class to my frock outfit. Everyone loved it. I ordered this as a gift for my brother in law. It shipped super fast and was just as advertised. He was pleased with it and so was I! This tie is exactly what I wanted and the quality if great! "Stunning" was the word used to describe how my daughter and her Prom date looked the evening of the dance. I used an old rhinestone stud earring for a stick pin, which made the tie sparkle in their photo's. The shipping was super prompt, considering I placed my order 1 week before the event and it arrived with several days to spare. I have recommended your site to several people. Nothing fancy, meaning - not a lot of material, but the material that was used is quality and the sewing is well done. 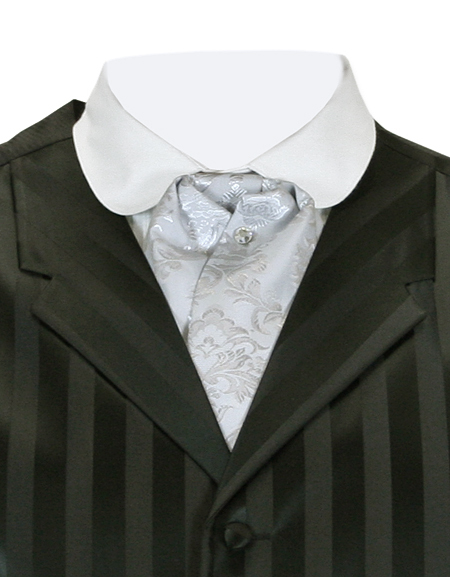 Only minor notch in the near perfect score is the latch system to clasp the tie together around the neck. It's hard to explain, but it turns sideways when latching, so it bunches up the tie strap. VERY minimal issue.... almost not work noting, except made it 1/2 a second more challenging to un-clasp when taking it off for the evening. THANKS! It is solidly made and easy to adjust and put on. The pattern is classic and it is man-made fabric for those who do not want to support boiling silk worms to death due to objection to unnecessary killing of animals. Well made, and fits well. The color is a bit darker than shown. Adds some panache without becoming too flamboyant. Very nice tie. 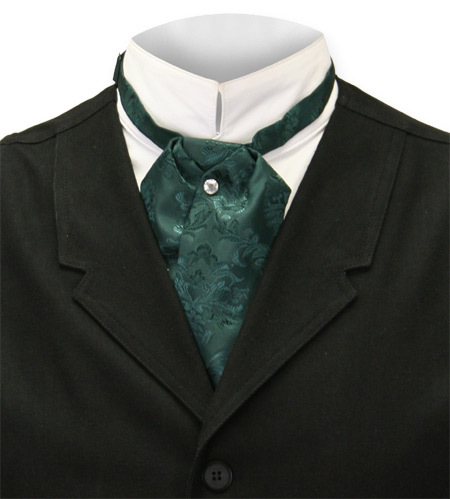 The color is a true emerald green and it matches the vest perfectly. Excellent product for Marti Gras Bal! 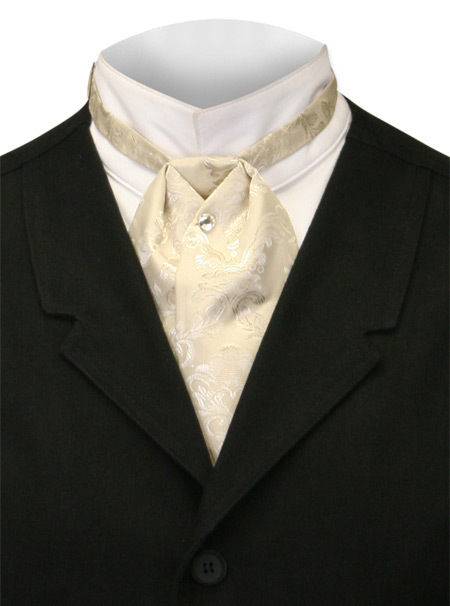 This puff tie, which matches superbly with its counterpart vest just screams old world style.. love it! I have purchased several different puff ties for my husband's Edwardian wardrobe. All of them have been excellent! I really love the color of this one, and it matches perfectly with one of my Edwardian outfits. Extra bonus! I really like these puff ties. Beautiful pattern, very classy. The only fault I have is that they clip on. Wish there was a way to disguise the cheesy clip to maintain athenticity. If I don't have a jacket on, the clip is clearly seen on the unfolded collar. Other than that it's a very nice tie. It's very nice. It matches my Winter outfit. Very sharp looking... and with the red Putnam vest, together they made Christmas especially festive.